This press has all the features of the award-winning Turret Press. The long stroke allows rifle cases over three inches long to be loaded using the automatic index. The rigid cast iron frame supports the ram with over 12 square inches of area. 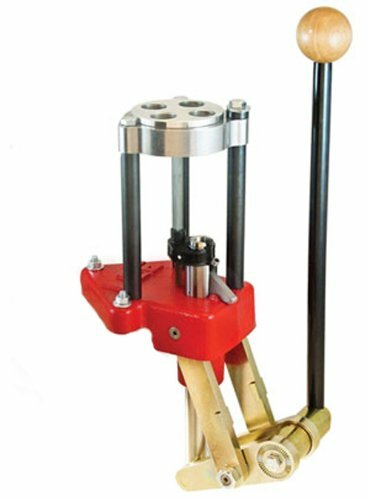 If you are using the Auto-Disk Powder Measure on this press, the Auto Disk Riser will need to be Purchased to Provide Adequate Clearance for the Lee Safety Prime. Hornady 98185 RAPiD Safe AR Wall Lock RFID, Provide Secure Firearm Storage, Touch-Free Entry, Measures 15" x 11" x 3"